Miss Singh: THINGS TO DO IN PORTLAND, MAINE! THINGS TO DO IN PORTLAND, MAINE! Happy Thursday! This post has been a long time coming, but I wanted to make sure I included everything from my amazing trip to Portland, Maine. I have been wanting to go to Maine for a while now and I finally got the chance this summer. It is so easy to fall in love with this adorable town and I think I have. I have accumulated a guide for all of you of things to do in beautiful Portland, Maine. 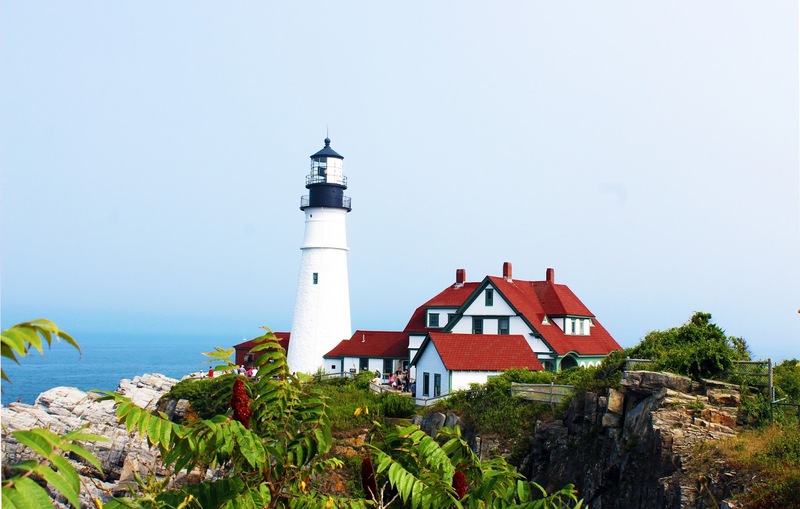 Portland, Maine is a beautiful quaint town filled with little shops, cobblestone streets, red brick houses, art galleries, cafes and fresh seafood restaurants. You can actually smell the ocean and lobsters while walking around this scenic town. With so much to do, I want to share my trip and this guide in case you plan to visit Portland, Maine. The best time to go would be the summer months for sure. It is warm and the nights are quite cozy. I would pack a light jacket for the night hours. We ended up staying at an Airbnb which was awesome. You can use my link to get a discount on your first Airbnb stay(www.airbnb.com/c/mehars101)! Now let's get on to the list of things to do. Downtown/Old Portland is the must see area. The little charming streets of Portland are packed with so many things to see from shopping to art to food. Even though there are a few chains, it is filled with local shops that have that Maine charm to them. If you are in Maine, this is the first spot you have to visit for seafood. They are known for their fresh oysters and seafood variety that is pure perfection. What makes Eventide unique is their spin on the typical seafood. We ordered the lobster rolls, oysters, and the clam bake. I recommend them all especially the clam bake. It has a variety of steamers, mussels, lobster, egg, and pork served with warm butter. So delicious! The lobster rolls melt in your mouth and are different than the typical lobster roll. For dessert, we picked their homemade Whoopie pie as the server recommended it. Super chocolaty and creamy, those sweet-tooth lovers will be obsessed. Eventide has great cocktails too! I recommend getting there in advance because it gets very busy. We had to wait in line for a while but it was so worth it. When in Maine, this spot is one you can't miss! It has been on my radar since we planned the trip and it was as expected, absolutely delicious! Lots of duck based foods, they are known for their poutine fries which are fried in duck fat of course. We ended up ordering the duck confit panini, poutine fries(topped with pineland farm cheese curd & house made duck gravy) and the kale duck salad. They have a great beer list from local breweries as well. For dessert, we got their duck fried beignets. All the food was fantastic. Nothing was over fried, it was the perfect amount of grease to make the food super satisfying. They are known as a sandwich shop and they do them pretty well. The duck was tender and the bread was crispy. The kale salad was fresh topped with soft duck. The star of the show is, of course, the Belgian fries! The poutine is a must try. Cheesy with lots of gravy, you won't be disappointed. The beignets were warm with a bit of lemon zest! Yummy! This was a highly recommended restaurant and we decided to go here for dinner. Their menu is filled with everything from seafood items, pasta, and salads. I loved everything about it, especially the atmosphere. It was so cozy and charming and I almost felt like I was in some small Europen town. I ordered the Linguine with clams which are probably the best I have ever had. 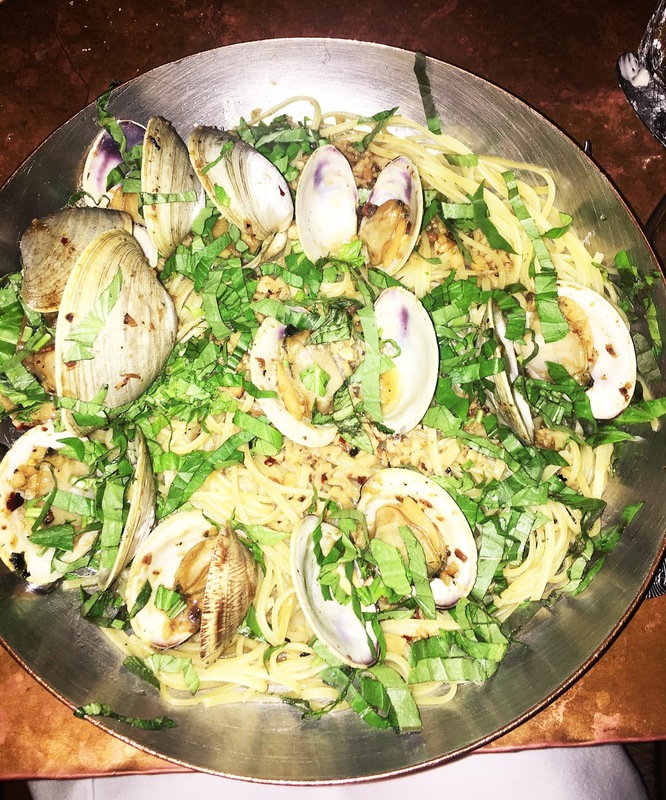 Clams were fresh, juicy, and the linguine was in a warm garlic buttery sauce that paired perfectly with the pasta. Street and Co.'s in a pan dishes are also a must try. This is another spot you will need reservations for or have to wait for a while, but I wouldn't miss out on it. Perfect dinner place! All my donut lovers, you have to try The Holy Donut. I have to say, I was very excited to stop by this place. If you know me, you know I love anything sweet and these donuts were holy indeed. Holy donuts are unique because they are actually made of potato flour which creates a seriously soft dough making them so very delicious. The donuts are super fresh and very soft. They melt in your mouth and every bite is pure bliss. I ordered the chocolate glazed and the regular glazed. Both were very good but the chocolate is the winner in this. They have many other unique options. I highly recommend this spot, just look at my face! If you want some authentic lobster rolls, you have to stop by this little food truck. The lobster rolls are warm, fresh and super moist. They also don't cheap out on the lobster meat and load it up. These are one of the best lobster rolls you will try in Maine. They have a great assortment of lobster rolls and I highly recommend this place. Not only is the food delicious, the location is breathtaking. Enjoy your lobster roll with beautiful views of the Portland Headlight and ocean. For your coffee fix, I have a coffee house on my list! Bard Coffee is a cool, hip, relaxed coffee shop with a ton of coffee options. I love the interior and space! The staff is nice and they do their coffee just right. They have a menu with great variety brews made from beans roasted in-house. The high ceilings and large glass windows make it feel so spacious and trendy. A collection of unique items for men and women, stop by Portland Trading Co. to find lots of trinkets, clothing, candles and many more things. I love the vibe of the inside and the owner is very nice. I love that they have an assortment of products for everyone. If you want to see where all the picture perfect postcard is from, it's the beautiful Portland Headlight/lighthouse. I wouldn't miss going here if you are in Maine. The waves and the views are stunning. Also, this place is FREE! It is so scenic, gorgeous and well maintained. Go ahead and take all the pictures you want because they will come out amazing without you having to even try. If you are visiting Maine, getting out in the water is a must. We decided to take the sunset tour around all the lighthouses and Casco Bay. It is just a must do as the water is beautiful and it is a very fun boat ride. They had drinks and snacks available on board. I also love that they give you a little history of the areas we are going through and then, of course, the gorgeous views. The harbor has other options too such as whale watching, lobster fishing and much more. And how can I forget the Maine sunsets? You don't want to miss them. If you have more time in Maine, I highly recommend driving up to Acadia National Park. I didn't have a chance to stop by this time but I probably will the next time I go. I hope this guide helped you and if you plan on visiting Maine, I highly recommend I can't wait to go back to Maine! Looking back at these pictures are making me hungry now! See you in the next post!